Calling all spouses, sons and daughters! With Father’s Day right around the corner, you’re probably on the prowl for the perfect present for your main man. The ultimate gift that keeps on giving, eyewear will have your daddios seeing clearly and looking sharp come Sunday. 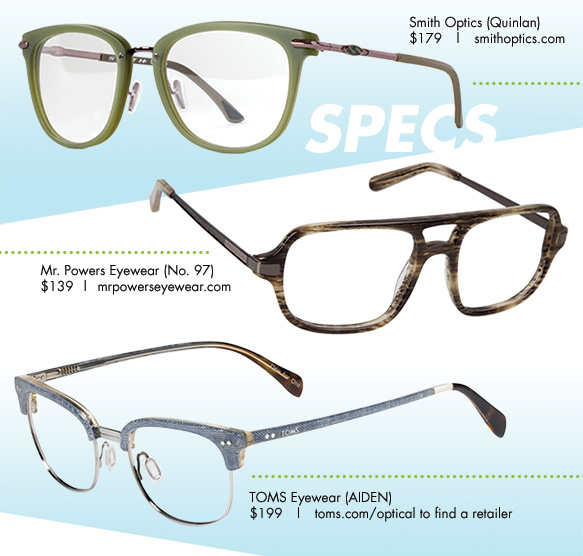 From dapper specs, to no-more-squint reading glasses, to sleek shades, there are lots of styles to choose from—take a looksie at the must-have selections for pops, and get additional deets on how much they cost and where you can snag ‘em, below. Bespectacled dads could always use a spankin’ new pair of frames to add to their collection! For a pop of color, opt for eye-catching sage green glasses from Smith Optics. Your special guy will surely make a statement in chunky square Mr. Powers Eyewear frames with an aviator-like bridge. To boot, don’t be afraid to play around with mixed materials—TOMS Eyewear utilizes denim on its Clubmaster-inspired glasses for seriously trendy appeal. 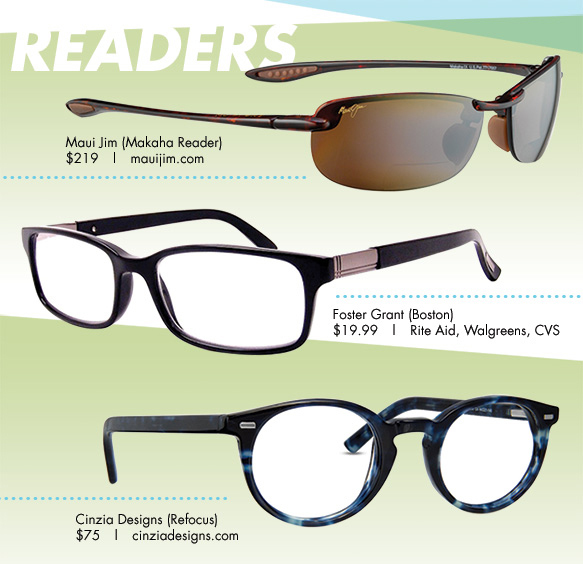 Allow your special guy see the teeny tiny font of his fave books, magazines and newspapers more clearly with a fresh pair of reading glasses or sunreaders (if he digs delving into the fine print outdoors)! Refined round navy frames from Cinzia Designs with a quintessential keyhole bridge and classy navy finish are all the rage, not to mention traditional black rectangular Foster Grants with sophisticated silver accents. Rimless Maui Jim sunglasses in a rich chocolate finish are a great choice, as well! ‘Tis the season for (almost) non-stop sunshine! And you know what that means. Protecting those peepers from harsh UV rays is more important than ever. 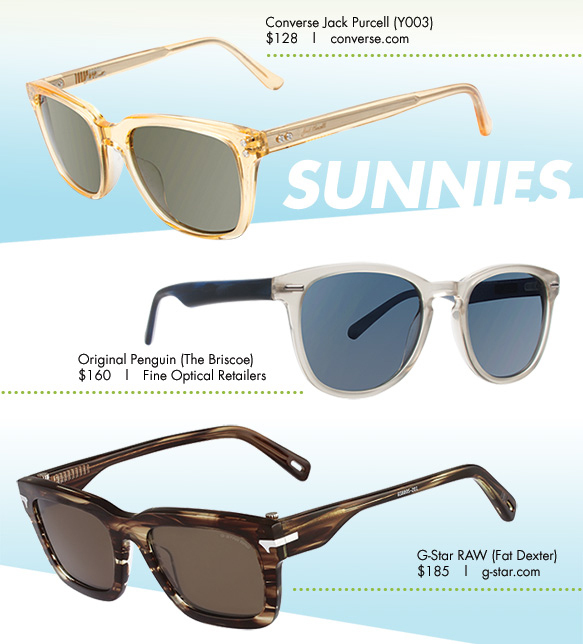 Help your old man stay fashionably shielded from the light with any of these super chic sunnies. Converse Jack Purcell is boosting the cool factor with light yellow sunglasses with a crystal finish. Meanwhile, clear Original Penguin shades with deep blue temples and colored lenses, not to mention G-Star RAW’s horn-patterned frames, are beyond badass.